A break from serious thinking for a moment…. 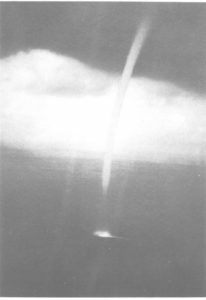 Meteorologists' observation of a waterspout, Matecumbe Key, Florida, from the November 1967 Monthly Weather Review. Photo by Joe Golden.